Thanksgiving – a time for family, relaxing from the daily routine, and remembering all you have to be thankful for over a special meal. In Vermont, we add one additional item to that list… the unofficial start of ski season! That makes Thanksgiving weekend the perfect time to come to Vermont. Here are a few suggestions on where to stay and where to get a fabulous Thanksgiving dinner while you’re here. Whether you come for the nearby skiing or for the fabulous meal, a visit to The Essex near Burlington is an excellent Thanksgiving choice. 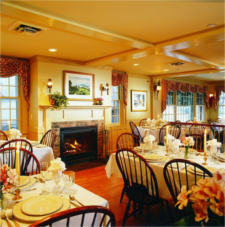 Known as Vermont’s Culinary Resort, you can be certain that you will be presented with a meal to savor. Served all day from 11 am to 5pm on Thursday, you will still have time to take a quick trip to Burlington for some shopping or exploring. And, that leaves you the remainder of the weekend for skiing, a restorative spa treatment, or both! Reservations required. Speaking of skiing, you can’t go wrong in Stowe. 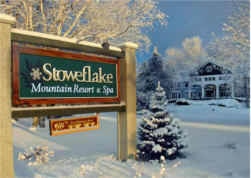 Why not book a stay at the Stoweflake Mountain Resort & Spa? You can enjoy their wonderful Thanksgiving feast on Thursday (served between 1 and 7 PM), and walk off your meal with a stroll through Stowe village. With the whole weekend ahead of you, there is plenty of skiing to be had on Mt. Mansfield, Vermont’s tallest peak. There’s so much to do in Stowe, even the non-skier can keep busy with snowshoeing, dog sled rides, sleigh rides, snowmobile tours and more. If you love skiing and want something a little different, head to Killington over the Thanksgiving weekend. Killington will be hosting The Killington Cup, a chance for you to see the fastest female ski racers in the world compete in Slalom and Giant Slalom. Join the over 30,000 fans to cheer on these spectacular racers. Other entertainment for the weekend includes fireworks, parades, live music, and plenty to eat and drink. Maybe not your traditional Thanksgiving, but a weekend you will not soon forget. Or head to Stratton in southern Vermont for skiing and your Thanksgiving dinner. Table 43.1 is offering a delicious all-inclusive meal for the fixed price of $44 for adults and $19 for kids. There will be two seatings, one at 4:00 pm and one at 6:00 pm. Make your reservations early. 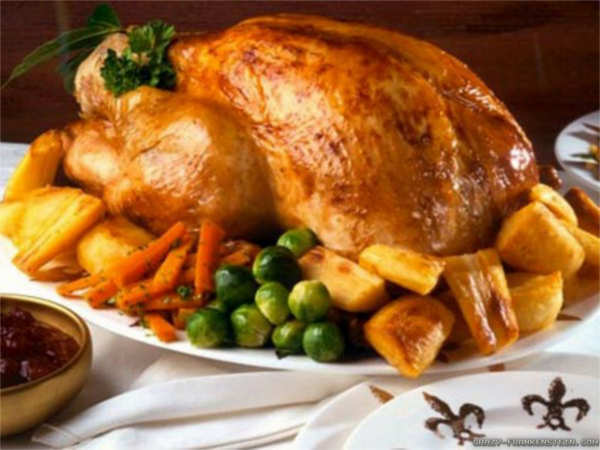 Another option for your Stratton getaway, especially if you are staying at a ski house or condo and don’t want to cook, is Thanksgiving Dinner To Go brought to you by Bistro Henry in Manchester. Choose from their menu, call with your order, and they will prepare your dinner for you to pick up and take home. Order deadline is Nov. 15. For a totally relaxing Thanksgiving weekend, try The Grafton Inn in Grafton, also in southern Vermont. They will be serving up their feast for the fixed price of $70 for adults and $29.95 for kids 10 and older. (For kids under 10, there is a children’s menu.) Nearby you will find plenty of outdoor activities including downhill and cross country skiing, snowshoeing, and fat biking. For those inclined to more sedate pursuits, explore local history, do some shopping, and don’t miss Grafton Village Cheese Company. If you ever wanted to go “over the river and through the woods to Grandmother’s house…,” a visit to The Grafton Inn will bring you darn close. For a Thanksgiving steeped in tradition, or to create some new traditions of your own, plan a visit to Vermont for this Thanksgiving. 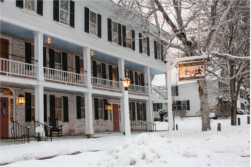 For suggestions on where to stay beyond those mentioned in this blog, check Vermont.com’s lodging selections.